On this World Water Day, we hold before God all those in southern Africa who are living with the dire impacts of Cyclone Idai. 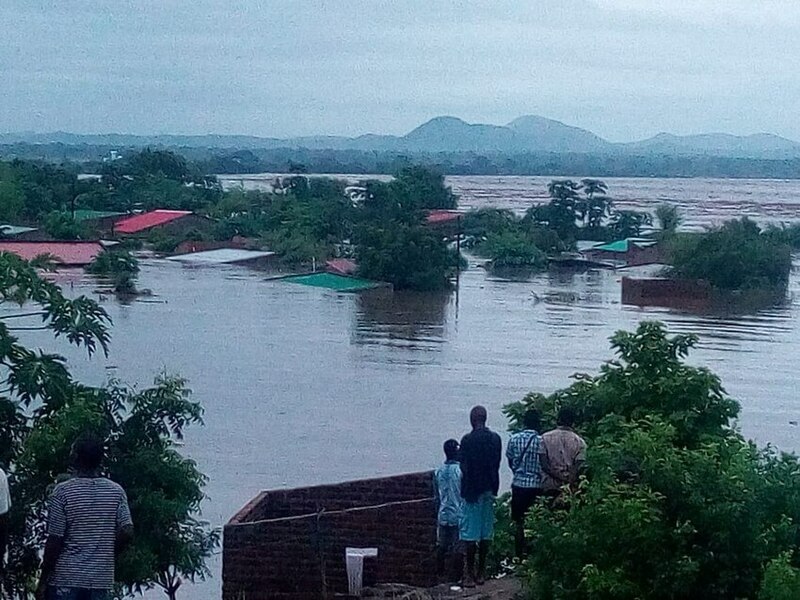 Heavy rain and flooding have devastated large areas of Mozambique, Zimbabwe and Malawi, leaving many – possibly thousands – dead and many more facing unimaginable loss. The Diocese of Manicaland in Zimbabwe and the Diocese of Southern Malawi have also suffered terrible impact from the cyclone. Revd. Rachel Carnegie, the Executive Director of the Anglican Alliance, says, “The situation is very desperate indeed. People have lost their homes and crops, health and education facilities have been washed away. We don’t know how many have died but numbers are increasing and people are at risk, without food, without safe water, without medical supplies. The crisis is huge. But as the Anglican Alliance we have the privilege of being in touch with the local Church at this time and hearing how people on the ground are responding”. She continued, “We have spoken with the Director of Hope Africa, the Social Development Programme of the Province of Southern Africa, and also with the bishops in Mozambique, Malawi and Zimbabwe. So we know the situation on the ground is dire, but I also want to emphasise the extraordinary resilience that we see in the local churches. Many of those churches already have disaster management committees and are beginning to mobilise their resources. Likewise, the local Mothers’ Union are actively responding with their own resources right here and now”. 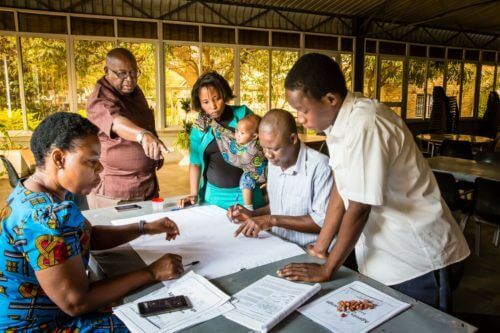 Several of the relief, development and mission agencies around the Communion have launched appeals, as well as some of the companion links that have special relationships with dioceses in Mozambique, Zimbabwe and Malawi. Details of you can donate to the response are provided below. Dr Janice Proud, the Anglican Alliance’s Disaster Response and Resilience Manager, said, “The Anglican Alliance’s role is to help make this a more coordinated process so the Church on the ground only needs to make one response and doesn’t have to be dealing with requests from every side. This way they can focus on their local communities and put their energy into meeting the needs on the ground. The Anglican Alliance stands ready to host conference calls so local churches and international church partners can talk together, as is our usual practice”. The main message from Hope Africa is that the role of the Church is about recovery. The Church is there before, during and after the disaster. So at the point when the floods have receded but homes and crops have been destroyed, the Church is there to help make steady progress towards long-term recovery. So as well as the need for food and water purification, there will also be need for seeds and agricultural equipment so people can get their home gardens going and agriculture up and running. Above all, the Church will be helping to build resilience and a sense of hope. Last year, Cape Town faced a different kind of water crisis, as it approached “Day Zero”, the day it would run out of water. The Revd. Rachel Mash, the Environmental Coordinator at Anglican Church of Southern Africa, reflected on this experience in a short address to the Parliament of World Religions last November. Her deep insights can be viewed here. As the International Union for Conservation of Nature (IUCN) says “Climate change manifests itself primarily through changes in the water cycle. As climate changes, droughts, floods, melting glaciers, sea-level rise and storms intensify or alter, often with severe consequences”. The visual reflection below explores some of these connections and consequences. Please use it as an aid to your prayers this World Water Day and beyond. Below are some of the agencies through which you can donate to the response Cyclone Idai. We will update this list as more information becomes available. Episcopal Relief & Development. Donations to the International Disaster Response Fund will help Episcopal Relief & Development respond to this crisis.